I attended the Patreon On Tour conference in New York City, and I strongly advise you to take advantage of this opportunity if it comes to a city near you. It was packed with great data-backed information, like information on which Patreon rewards work best. According to their research, about 40% of new Patreon backers arrive through social media — less than half! If you’re like many of us, you’ve seen your advertising revenue decimated by ad blockers. You may have even removed advertising from your site entirely. But that space is still has value — even if it’s not currently delivering on that value. House ads have long been promoted on this site as a way to bolster that undervaluation. The application to this instance is simple: Replace the paid-advertising space with self-promotion space. If you code it directly into the page, you can even bypass ad blockers. There’s no better place than your site to find the people that are most likely to back your Patreon campaign. Use that old advertising space for outreach. 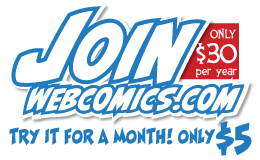 Sending out a monthly e-newsletter is a great way to keep in touch with readers — and an awesome way to get the word out on new information about your webcomic. It takes a little time to prep, but it’s a well-targeted message to an interested audience is incredibly valuable as you build your community. 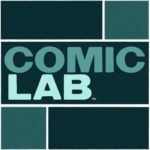 Webcomics.com has tons of handy resources to get you started. We first talked about QR codes way back in 2011. In fact, I shared a handy tip on using QR codes to promote Patreon campaigns in 2014. However, it hasn’t been until recently that both Android and iPhones built QR-scanning into their cameras. Now that this particular hurdle has been crossed, this technique should run smoothly. Simply build a QR code to point to your Patreon page. When an interested person uses their digital device to read the code, they’ll be taken directly to your page. If they sign up, you can even give them a reward on the spot — in person! Think of what a powerful enticement to drive Patreon pledges this could be at a comic convention! Some printing companies — like Moo — are offering NFC business cards. This is a business card with an NFC chip embedded in it that will trigger a digital action when it is tapped on the user’s smartphone. Android phones have had NFC capabilities for a while now, and Apple’s iOS 11 has finally brought iPhones into the game. They’re expensive, but remember — you don’t have to give these away in place of regular business cards. You can keep one or two at your table and re-use them. Best of all, the chip can be programmed and then re-programmed. So, you can use them in several different ways — from opening up your Patreon page on the smartphone’s Web browser to, say, downloading an app. Dave Kellett and Brad Guigar are talking comics! In this episode, they discuss the secrets of Instagram tagging. THEN … if a backer asks you to add a crowdfunding platform to Patreon, should you? ALSO… what’s the danger of waiting too long for success? 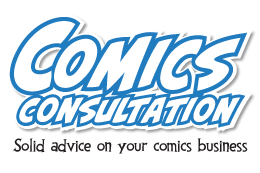 AND FINALLY… Rob Salkowitz from Forbes drops by to discuss the changing comics industry. BUT FIRST… Dave tells Brad about the time he ate his whole wedding cake. 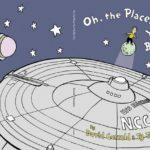 A federal court ruled in favor of ComicMix in a case in which their Star Trek / Dr. Seuss mash-up book, “Oh, The Places You’ll Boldly Go” was claimed to have infringed upon the intellectual property of Dr. Seuss Enterprises. The ruling has many people claiming that similar creative projects — like mash-up shirts and books — are now legally protected. 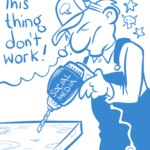 Social media: Is it for promotion or content? You tell them that you’ve hidden biscuits somewhere in the next room. The Kickstarter Pledge Swap scheme works like this. You agree to pledge to the other person’s Kickstarter in exchange for their pledge to yours. Kickstarter has no official stance on the Pledge Swap except to say that sending unsolicited messages through their service is against their rules. And, according to a Consumerist poll, pledge-swapping is overwhelmingly unpopular. (87% oppose it.) So, why is it still being attempted? Some people claim that this tricks Kickstarter’s algorithm into perceiving your campaign as more popular. However, I think you’d need to exchange an awful lot of pledges to have that effect. And that would end up being awfully expensive (unless you ghosted on your swap partners at the last minute). The truth is simple. If your strategy for pulling off a successful Kickstarter depends on pledge swaps, then you’ve failed already. Kickstarter’s greatest strength is in its function as free market research. If your Kickstarter doesn’t meet its funding, then you know that your product isn’t ready for the market (or vice versa). That’s valuable information. It’s information you should be eager to receive. And it’s information that you should be willing to act upon. A pledge swap reeks of desperation and amateurism. So, let’s talk about Kickstarter strategies that really work well. Dave Kellett shared this strategy during a recent episode of ComicLab. It’s very simple. You set up a number of Early Bird specials offering enticing rewards. For example, you might offer free shipping at these levels. 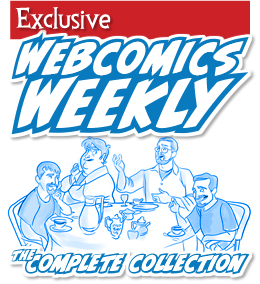 These must be limited — only about 10-20 backers per reward. And you alert your Patreon backers that you’re about to launch a Kickstarter and that you’ve set up rewards just for them. This is a bonus reward to their patronage. After giving your patrons advanced notice, you open your Kickstarter without a public announcement. Make it clear to your patrons — they have 24 hours to snap up the Early Bird specials. After that, you’re throwing open the doors. Using this strategy, my Kickstarter earned nearly $2,000 in pledges in the first 24 hours. And that got noticed by Kickstarter’s algorithm, placing my campaign in the Popular category, and boosting its prominence in internal Discovery mechanisms. I can’t stress enough the importance of a good video. Two minutes — maximum. I’m a strong proponent of delivering the pitch in person. If you’re going to ask someone for money, you should have the courage to look them in the eye. But avoid posting a video that’s two minutes of talking-head blather. You should insert visuals of the product you’re Kickstarting — as well as rewards — too keep the video engaging and interesting. And include subtitles! This is important to your potential backers who might have hearing issues — as well as those who are scrolling on their smartphones with the sound disabled. Finally, learn how to do Kickstarter math. Shipping supplies — boxes, tape and padding, etc. And… if you’re smart, you’ll building a buffer for all of the little things that always come up. Whatever my rough goal is, I usually add in an additional 1-2% for incidentals. Just remember to keep your receipts on all of those costs. Kickstarter income is taxable income. This is especially important to remember in the happy circumstances of running a campaign that goes beyond the goal. Or, simply worded, take your total costs, and divide that number by 0.90. That will give you a final goal that is large enough to cover those total costs after 10% is deducted by Kickstarter.